Halloween is getting closer and closer. 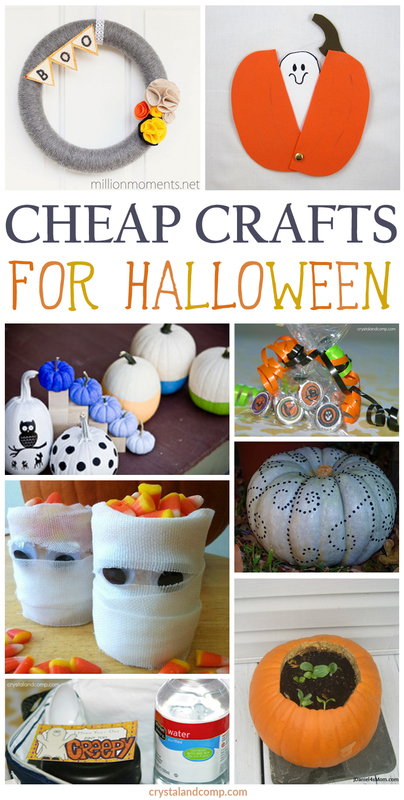 Are you on the hunt for some Halloween crafts to do with the kiddos before the end of the month? I have made searching for these ideas very simple for you. 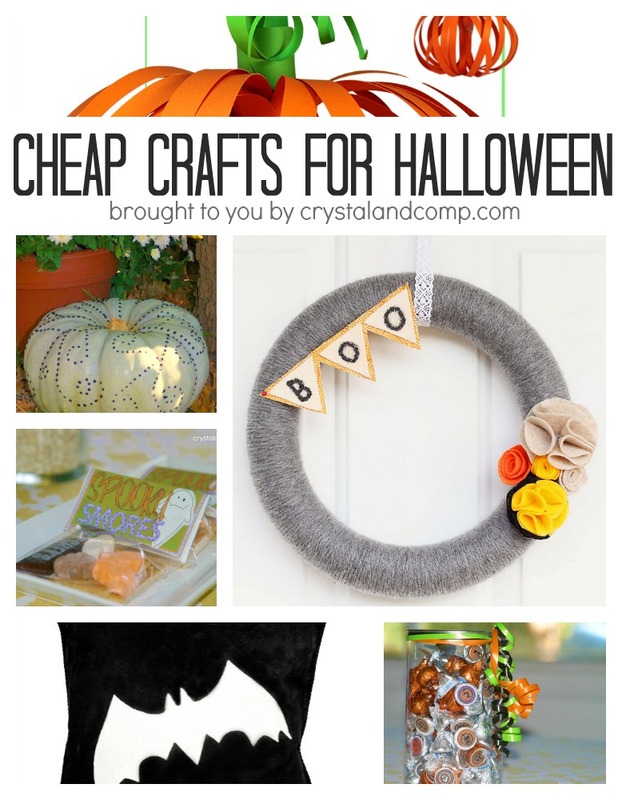 Here is an awesome collection of cheap Halloween crafts that bloggers have shared on my site over the last few weeks. I have also included some of my favorite Halloween crafts that I’ve created with my kids from years past. There are free printables, pumpkin ideas, preschool inspired crafts, home decor, dress-up ideas and more! Make sure you pin this so you have it easily at your fingertips! And make sure you check out all of my Fall craft ideas while you’re here too! Which Halloween craft are you going to make first? Aren’t there so many amazing ideas? Thank you so much for including my pumpkin painting ideas on your post. There are A LOT of great ideas here, I am in good company 🙂 I just found your awesome blog, then saw that you were a former Dallas Cheerleader- WOW!!! I cheered for University of Hawaii and just love finding someone else that was in that world. Keep up the great work, I’ll definitely be stopping by more often and pinning some of your helpful mom-content. What a great round-up! (Beautiful collage up there, too – you do so well with those!) Thanks so much for sharing at After School, Crystal. Here is an idea I have had on my blog since last year and I updated it this Halloween. We have made our own trick or treat sacks and every year we add a hand/footprint on it. This year I came up with also integrating the costume they are wearing with it! You should check it out here! It’s such a great keepsake! Oh I love this, Colleen! Thank you so much for sharing. Yay Meghan. Thank you so much for featuring this roundup. And I hear ya. While I enjoy doing crafts, if they break the bank or involve too much thought, I am out. This collection of posts was a lot of fun to pull together. Thanks for stopping by. Hope you’re having a great week.